Ideally located in the heart of the Medina of Marrakech, 5 minutes walk from Jemaa El Fna Square, Riad LE JARDIN DES SENS allows its guests to combine a dream location, close to palaces and souks and authentic accommodation, impregnated with calm and serenity. 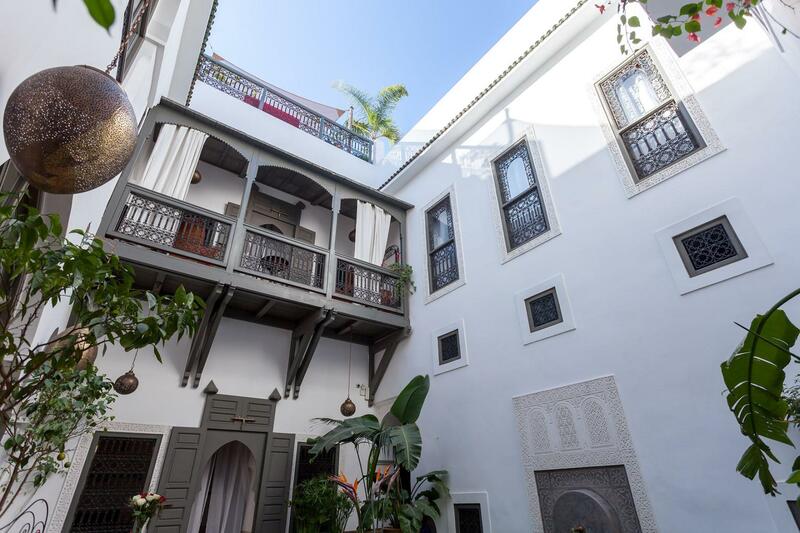 Entirely restored, the Riad offers six charming rooms and suites and a quality traditional restaurant. A pool in the patio allows you to cool off during the hottest hours of the imperial city. A roof terrace offers a breathtaking view of the snow-covered mountains of the High Atlas. A professional and caring team will make the stay of its guests unique.